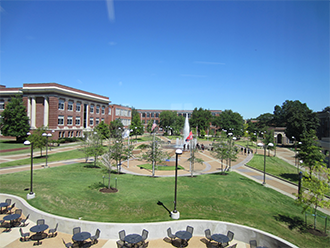 Located on a beautiful campus in the heart of one of the South’s largest cities, the University of Memphis is the flagship institution of the Tennessee Board of Regents system. Since its establishment in 1912, the UofM has matured into a major public, metropolitan university recognized nationally and internationally for its academic, research and athletic programs. The University of Memphis offers more than 254 areas of study through its nine colleges and schools with several degree programs offered entirely online. With an enrollment of more than 21,000 students, the UofM confers bachelor’s, master’s, professional, and doctoral degrees. It is the only public university in Tennessee, and one of only 62 colleges and universities in the nation, to be classified as “Community Engaged” by the Carnegie Foundation. For 2016-17, Affordable Colleges Online, has ranked the University of Memphis as the #1 online school in Tennessee for academic rigor, student support and affordability. In fact, almost a third of our programs are nationally-ranked in the top 40. Even more rank in the top 100. For a complete listing, see program rankings.